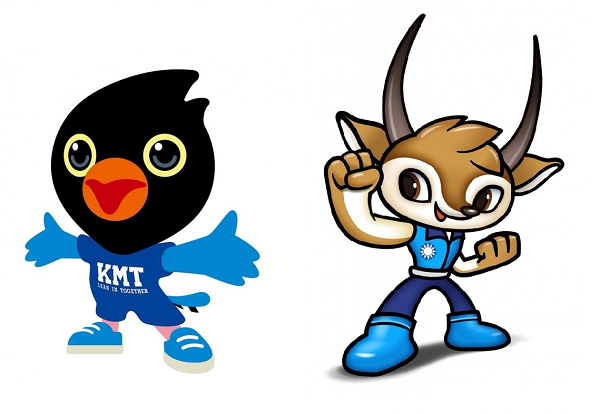 taiwaneasy.tw • Pick the new KMT mascot! 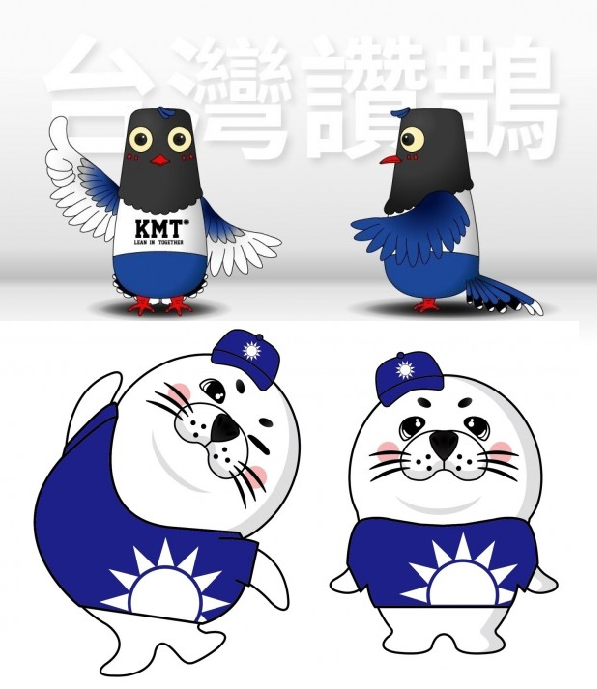 The Kuomintang is asking people to help it decide which of ten short-listed entries below should be its new mascot. Yes, really. What should it be, folks? Which of the following best represents the spirit of the KMT? Bonus points to anyone who can explain no. 8. 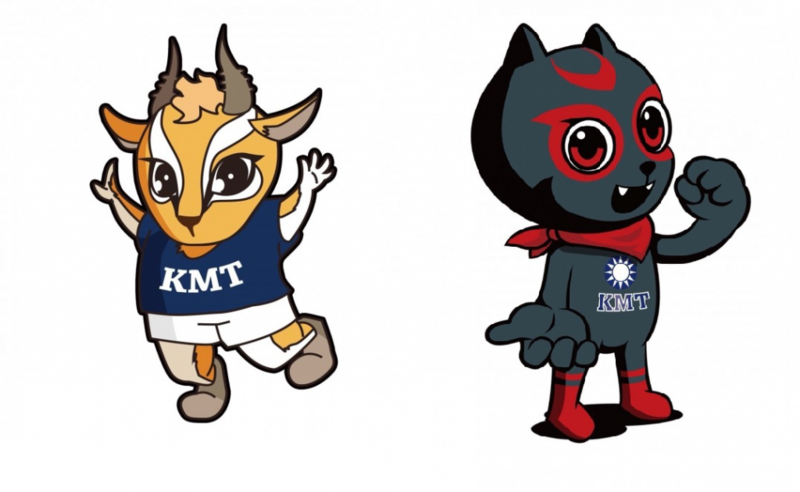 Re: Pick the new KMT mascot! If this is real they're really a bunch of knobs. "Lean in Together"? Yeah, we know what you're getting at. God ALMIGHTY! Yes, I know they are nothing more than little children, but... SERIOUSLY? This is a new low, even for them. And number 8 is easy peasy. A shaved chicken with its eyes blissfully shut, nurturing a gut-eating parasite in its tummy. Priceless. sandman wrote: God ALMIGHTY! Yes, I know they are nothing more than little children, but... SERIOUSLY? This is a new low, even for them. Whoever came up with that one was getting towards the bottom of his bottle of Kavalan, I reckon. Can I suggest none of the above, and propose a Taiwan Bear asleep at the wheel of a knackered Nissan taxi? Toad wrote: Can I suggest none of the above, and propose a Taiwan Bear asleep at the wheel of a knackered Nissan taxi? Careful now. 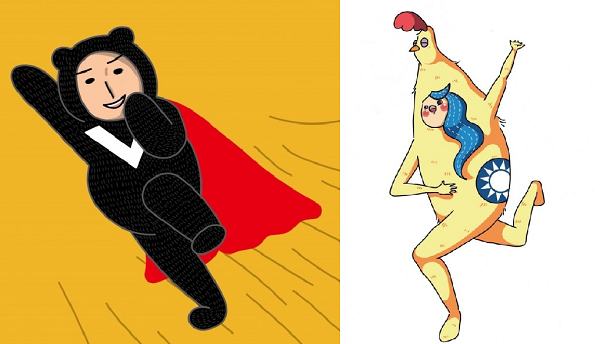 Those who mess with the Mona Lisa of bear mascots do so at their peril. They don't deserve a Taiwanese Bear. They can show their true colours and get a fecking panda. Well the KMT candidate for Taipei city mayor presented himself today at a press conference as «that lovely British cartoon, Bob the builder», tool belt and all. No hard hat, though, that I could see. 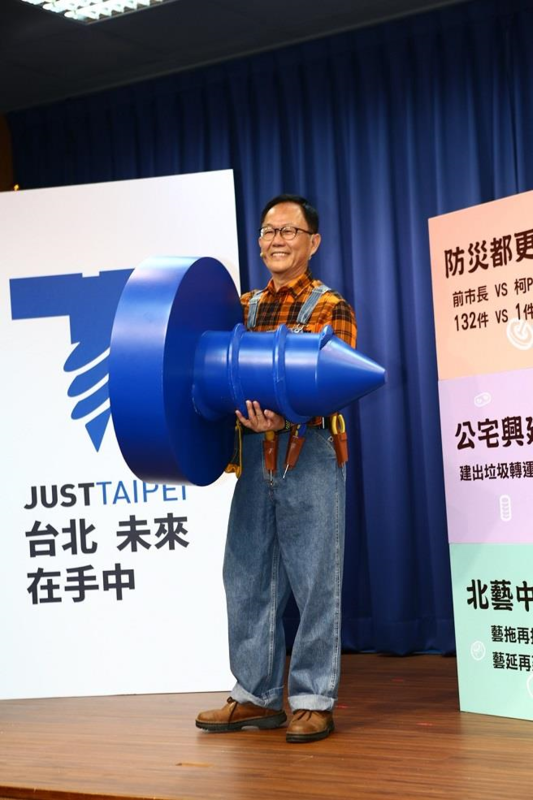 Icon wrote: Well the KMT candidate for Taipei city mayor presented himself today at a press conference as «that lovely British cartoon, Bob the builder», tool belt and all. No hard hat, though, that I could see. 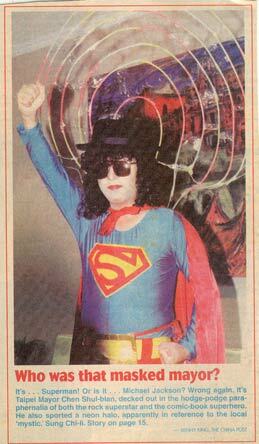 I wish I could find that old photo I have of Chen Shui-bian dressed up as Superman / Michael Jackson / etc. 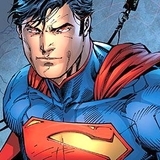 cranky laowai wrote: I wish I could find that old photo I have of Chen Shui-bian dressed up as Superman / Michael Jackson / etc. 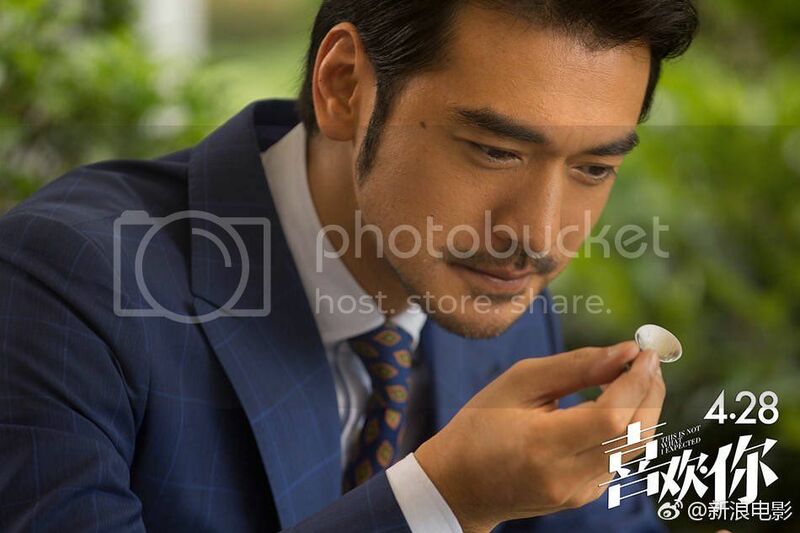 Defending Wu’s design, department director Weng Shao-hui (翁紹輝) yesterday said that the designer is 18 years old and feels misunderstood by the public. Weng said the “chicken” mascot’s popularity has its merits, given that some of the party’s candidates in the Nov. 24 local elections have approached Wu to ask for authorization to turn her design into a life-size cardboard cutout, including KMT Taichung mayoral candidate Lu Shiow-yen (盧秀燕). In a video published online on Friday by the Chinese-language China Times, Wu said she chose the design because it has more potential to be funny and quirky than animals that are traditionally considered adorable, such as bears. As for the “blue worm,” Wu said she wanted to combine elements of a chicken and a human being, so she decided to draw a human figure with blue curly hair, as blue represents the KMT. 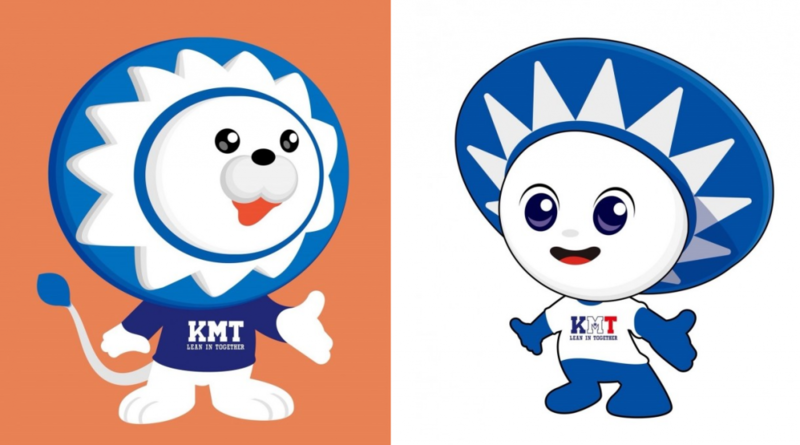 “That is absolutely not a blue maggot,” Weng said when asked whether he agreed with netizens’ interpretations of the mascot’s design. Suuure. So WTF is it then? So why is the blue hair on the, um, maggot, rather than on the head of the chicken-man? All sounds a bit threadbare to me. Finally got it: the chicken represents Taiwan And the blue maggot...Well, the blues. Come on! The child is 18 years old. That equates to what? 7-and-a-half outside of Taiwan. That's actually pretty damn good for a 2nd-grader.